TURN YOUR MESS TO SUCCESS! Get a coach that KNOWS how to run a business. Procrastinitus is a beast. It’s like a weight on your shoulders that never goes away. Whether it’s getting to the gym, doing chores and getting projects done, ORGANIZE SB can get you on-track. We provide expertise in organizing, office administration, filing, computer training. graphic design, WordPress web design, and overall business troubleshooting. The orphan child, the garage. He’s detached, lonely, cold and gets absolutely no respect from his siblings or parents. He’s gained tons of weight from empty carbs and junk food. He stinks; hasn’t been bathed for years. He’s the forgotten, the silenced, bloated and unhealthy; Le Garage. He starts out with a promising future full of hopes and dreams. Santa Barbaran’s know that space comes at a premium price and though we live in paradise, there are always space and organizing issues. How and where we store ‘stuff’ is always a challenge. The madness starts innocently enough; it’s that first indecision about whether something needs to be thrown out… oh no, wait, we might need it in the future. Let’s just put it in the garage for now. Maybe it’s a computer box (from a computer that’s now way past it’s warranty) or a pillow that’s getting old but might be needed if a friend visits, a mop that’s not quite beat to a pulp. “No, I can’t throw that out. I need a back up just in case the new one breaks. I might need it again some day.” And so the madness begins. The pile grows and let’s face it, you’ve got better things to do than spending time thinking about your stuff. It’s not a priority but those piles lurk in the corners of our minds just like computer programs running in the background, sucking up precious RAM (short term memory) and decreasing efficiency. Let’s just dump it on the poor orphan child and deal with it later. Guilty parents and homeowners sometimes realize the mess is out of control. They are not happy with themselves or the example they are setting for their family, colleagues, and friends so they finally make a decision to get help from a professional organizer. Sometimes the mess is deep and seemingly insurmountable. You’ve got boxes of pre-2007 paper and tax records which usually only need to be kept for seven years*. Sometimes it’s a mess that you’re going to leave for your family to clean up when you’re not around. Some of you know what that’s like from dealing with your own parents and elders; it’s not fun. The garage is a place that needs TLC from time to time. So ask yourself, do I really need that mop, box, pillow, raincoat, box of old records* etc? And in the worse case scenario, which I have rarely seen happen, you’ll throw something out and have to buy it again. Most people think they’ll get to those organizing projects someday but the day never comes. Organizers are usually the last resort, when surrender is the only way out. I assure you, the relief and peace of mind is worth the price of admission. See what clients are saying about the relief they feel. 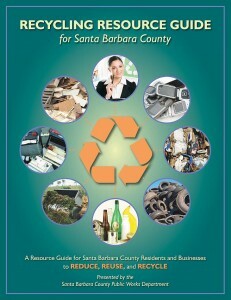 BULKY ITEMS COLLECTIONS: All residential* customers in the Cities of Goleta Santa Barbara and County of Santa Barbara are eligible for 2 free clean up every calendar year. You may call in when it is convenient for you to have your items removed. We pick up all bulky waste on WEDNESDAYS and all electronic waste on THURSDAYS. TAKE THINGS ONE BY ONE, AND GET THEM DONE! You can also check out Yelp reviews too. LIFE THROWS CURVE-BALLS; an unexpected death, a forced move, health issues. We don’t know when or where they’ll land or how we will deal with them until circumstances arise. Transitioning is difficult and stressful – it’s wrestling with the unknown. Some of us are fortunate to have families that can assist, but sometimes they live far away. Some of us don’t have families and we feel alone. Having an advocate for you and your loved ones is the first step. 1) Have plans in advance – don’t wait until a crisis hits for the thought process to begin. Start talking to your Spouse, Parents, Aunts, Uncles, Close Friends etc. now – confront the discomfort sooner than later and have those talks. 2) Start thinking of purging documents and items that are not needed any longer. So many people hang on to documents and things for 20+ years; things they’ll never look at again – it’s not unusual. Go through your files and start to shred and throw out items. Get your paperwork in order. This is not a pleasant task or something that has to happen overnight but it should be an ongoing process. 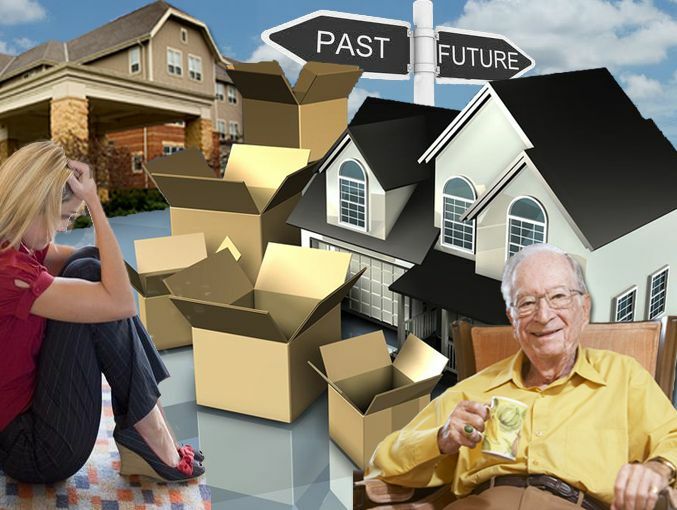 Doing this kind of work in advance will keep you and the family unencumbered; having papers and clutter cleared will help to relieve some of the sadness, burden and stress. An organizer can help with these things. 3) Ask for help from an estate management professional and fiduciary* when needed. 4) Paralysis can be deadly and is often the state of mind of a person in life crisis such as death of a spouse or family member; make sure your plans include identifying people that can be there to help in these times of loneliness to make sure there is food, nutrition, and company to talk and walk with. If you have lost a spouse or have aging family members (siblings, parents, aunts, uncles, cousins) that live in Santa Barbara County and need assistance, you have arrived at your destination. Please CLICK HERE to read more about our services. * A California Licensed Fiduciary is a person or institution given the power to act on behalf of another in situations that require great trust, honesty and loyalty. Fiduciaries you may already be familiar with include accountants, attorneys, bankers, business advisors, financial advisors, mortgage brokers and real estate agents. These individuals are hired to act in a clients best interest and must set aside their own personal motives in favor of your goals. The Trimline phone is a MUST for any household that still has a hard-line phone connection. This phone does NOT run on electricity so in the event of an emergency, you will be able to make and receive calls*. You can count on 24/7 access*, regardless of any possible power failure that would knock out the more common base-dependent satellite/FiOS/digital lines, which all require electricity to work. This phone will give you a dial tone even in a local area power blackout*. *provided the phone lines aren’t down too.